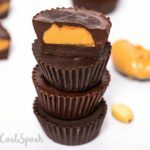 These keto peanut butter cups are easy, vegan, low carb and incredibly addictive. They require just a few low carb ingredients that you undoubtedly already have in your pantry. Enjoy these 10-minute quick keto fudgy peanut butter fat bombs every time you want a healthy sugar free dessert. If you are anything like me pairing chocolate and peanut butter is a flavor made in Heaven. 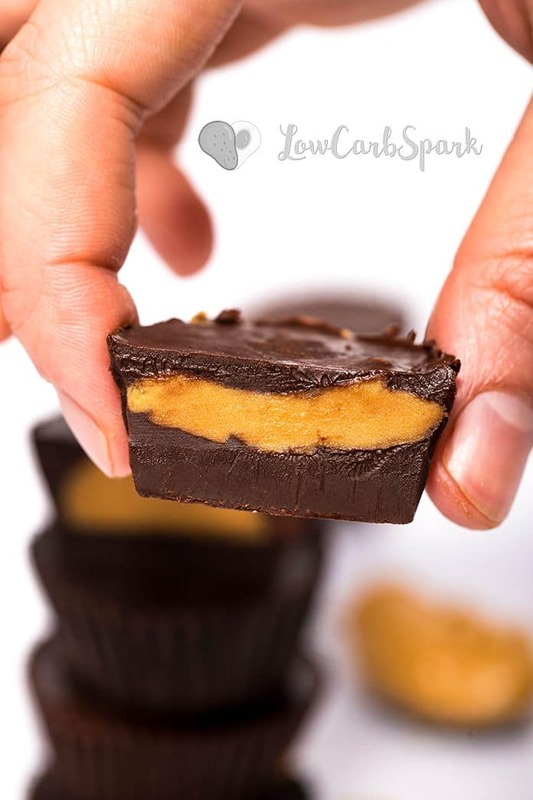 I always chose dark chocolate or a spoonful of peanut butter as a snack, so these peanut butter cups are some of my favorite fat bombs. Sometimes I dip dark chocolate directly into the peanut butter jar or almond butter or cashew butter. These fabulous sugar-free high-fat bombs are a life savior since they not only taste amazing but are packed with tons of healthy fats and keep the hunger away for hours. 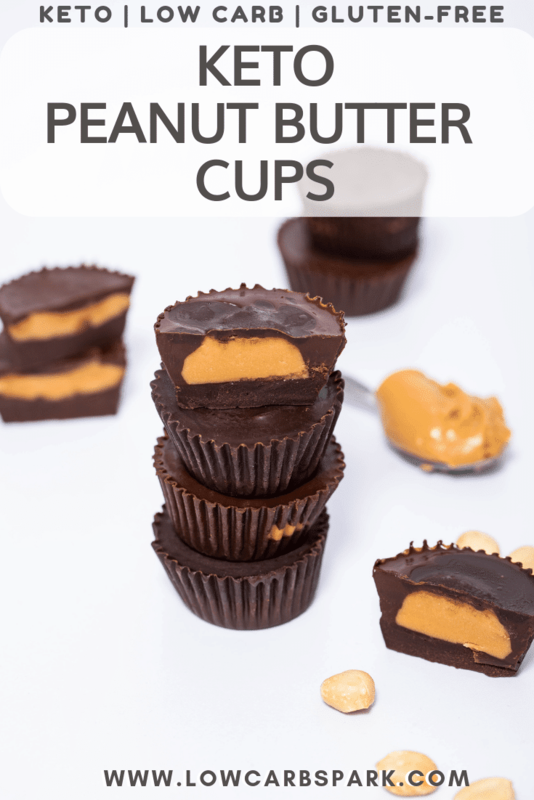 If you are a Reese’s peanut butter cups fanatic, these homemade Peanut Butter Cups taste very similar, and they have no funky ingredients added! 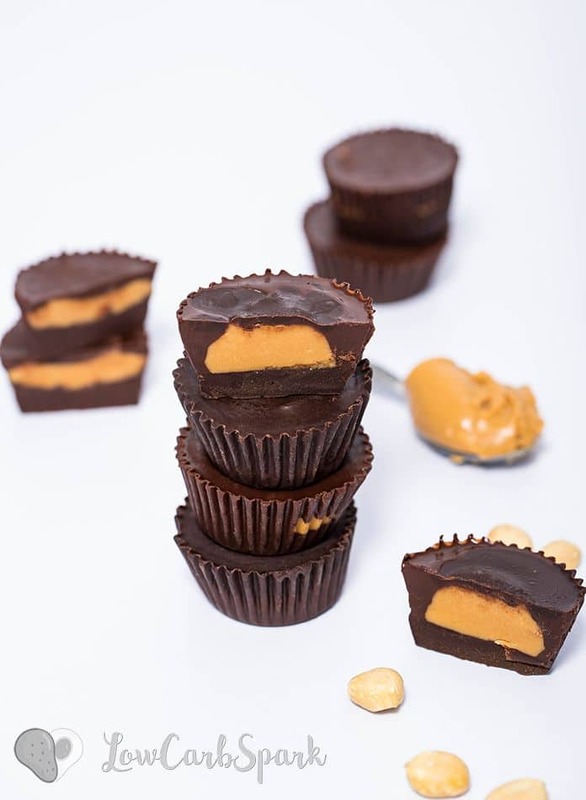 To make these peanut butter cups, you only need four ingredients plus vanilla extract and salt. 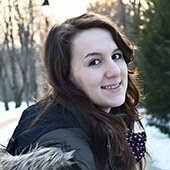 Can we eat chocolate on a keto diet? Yes, you can find various chocolate brands that are keto friendly, low carb and sugar-free. Read the ingredient list to make sure that there’s no sugar added. Choose any chocolate bar with an 85% cocoa percentage or more, and you’ll be fine. 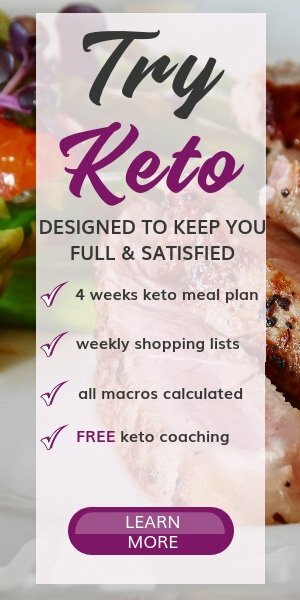 Is peanut butter allowed on a ketogenic diet? Absolutely! Peanut butter is a fabulous ingredient that’s perfect for enjoying on a keto diet sparingly. Make sure that you consume a peanut butter that has no sugar added. Usually, 1 tbsp of peanut butter has only 3g carbs. Melt the chocolate and coconut oil using a microwave or a double boiler. Line a mini muffin tin with 18 mini paper liners and pour 1/2 tbsp of melted chocolate to the bottom of each liner. Place it in the freezer for about 5 minutes or until the bottom layer is solid. Meanwhile, in a medium bowl combine the peanut butter, powdered erythritol, vanilla extract, and salt. Remove the muffin tin from the freezer and place about one teaspoon of peanut butter mixture into the center of each mini muffin liner. Pour enough melted chocolate to each liner – to cover the Peanut Butter. Place back in the freezer for about 5 to 10 minutes to harden. Enjoy! 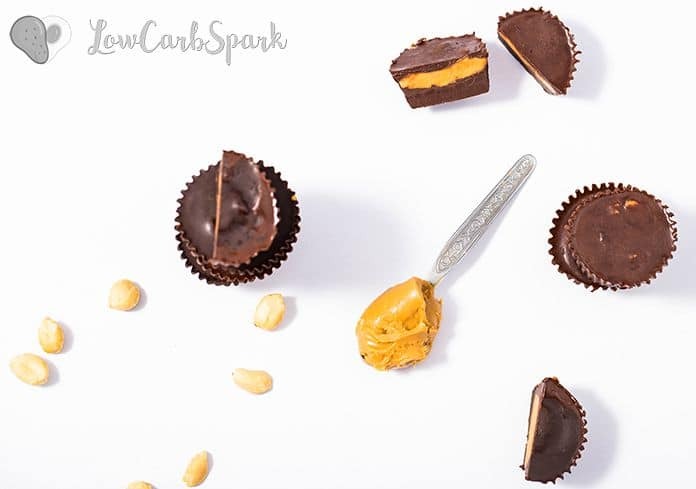 You can store these keto peanut butter cups in the fridge for up to 14 days or in the freezer for up to 1 month. If you store them in the freezer allow them 5 minutes to thaw before serving.